afrol News, 27 September - The US government has announced it will "engage more actively" with Somalia's breakaway provinces of Somaliland and Puntland, including development aid. Stability here would prove "a bulwark against extremism and radicalism" in Somalia. 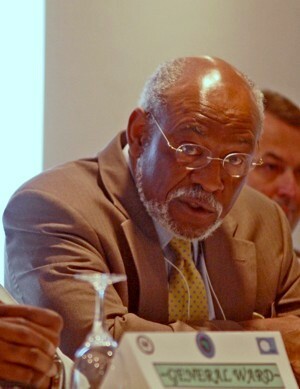 Johnnie Carson, Assistant Secretary at the US State Department's Bureau of African Affairs during a New York press conference announced tighter US ties with Somaliland, a de fact independent but internationally unrecognised state since 1991. "We will work to engage more actively with the governments of Puntland and Somaliland. We hope to be able to have more American diplomats and aid workers going into those countries on an ad hoc basis," Mr Carson said, referring to both Somaliland and Puntland as "countries". US diplomats there were to "meet with government officials to see how we can help them improve their capacity to provide services to their people, seeing whether there are development assistance projects that we can work with them on." In the Washington view, "both of these parts of Somalia have been zones of relative political and civil stability, and we think they will, in fact, be a bulwark against extremism and radicalism that might emerge from the south," Mr Carson said. Journalists asked Mr Carson what he meant by calling Puntland and Somaliland "countries, and whether Washington was contemplating some kind of a diplomatic recognition. The US diplomat however emphasised the US would not formally recognise the two breakaway states. "We believe that we should follow the African Union position on this," Mr Carson said, in line with other states awaiting an AU decision. "We still recognise only a single Somali state. This is the position of the Africa Union, which is the most important and largest continental regional body," he added. Mr Carson also said that, at the current stage, the US was not planning to open "new diplomatic facilities" in Somaliland or Puntland. However, the announced deeper US engagement in Somaliland would include contacts on high political levels and, equally important, the direct development cooperation with the Hargeisa and Bosaaso governments. US cooperation would include "a range of health, education, agriculture, water projects that they might want to develop, looking for ways to strengthen their capacity both to govern and to deliver services to their people." In practical terms, the US goal to "strengthen their capacity" to govern will cement the existence of the Somaliland and Puntland states. It will therefore make a possible future reunification with the south - as demanded by Somalia - even less probable. Mr Carson added that this was a marked policy shift by the Washington government. "In the past, we have not engaged these areas and political entities aggressively. We will now start to do so," he said. The main reason given for this policy shift was the steadily deteriorating situation in south Somalia, where the "radical extremist group" Al-Shabaab is controlling large areas. Also, the coasts of Puntland and Somaliland are key to fighting piracy in the region.